"Did you get hurt?" Maya rushed towards her son on seeing his bandaged arm. "No ma. I got a tattoo done today." Manav said proudly. "What? What is wrong with you? Shekhar would you please look at this?" Maya yelled at her son and her husband of seventeen years. Shekar was busy staring into his laptop. Maya rushed towards him. "Look at what he has done. Why don't you say anything?" Maya closed his laptop. "Its okay Maya, he's sixteen now. Stop treating him like a kid." Shekar says absentmindedly. "Thanks dad. You are awesome." Manav grins at his mother and walks to his room which has 'Enter at own risk' written in bold on the door. Maya shakes her head and sits down with her magazine. The next morning Manav comes down for break fast. The bandage on his arm is half removed now. It revealed the stalk of a rose wound around something. The rest of it was still under the bandage. Maya observed the tattoo as she laid out the plates along with piping hot poha on the table. She then stopped in shock and almost dropped the jug of orange juice she was holding. She looked at the tattoo again. She had seen that tattoo before! If only she should remember where. "Stop staring at it ma. I'm not in pain, don't worry." Manav said taking the jug from her. "How much did you pay for it?" Shekar asks looking through his rimmed glasses. "Dad, I had saved enough for it. I won't ask an advance on the pocket money." Manav chides his father. Shaker just nods and goes back to his coffee while Maya sips on to her green tea, deep in thought. Maybe, if she saw the whole tattoo she would remember where she had seen it. "When will the bandage come off?" Maya asks with genuine concern. "I was hoping you could help me take it off now. I can't do it with just one hand." Manav sheepishly grins at his mother. "So now you need my help. Finish breakfast quick. Lets get it done with before I get to office." Maya gets up from the table. A while later, armed with scissors, cotton and a sanitizer, Manav approaches his mother. Maya wears her glasses and slowly cuts the bandage on one side. A drop of blood oozes out. Manav winces in pain. "What was the need for this tattoo stuff I do not understand. Now bear the pain." Maya reprimands her son as she dabs a cotton ball on the wound. "This design has been on my mind for years now ma. I have always wanted it as a tattoo." Manav says slowly. Finally the entire bandage comes off and Maya stares at the tattoo for a while. It was a stalk of rose wound around a sword. She definitely had seen it somewhere. "You like it?" Manav asks with a smile. "Have you put up this design in your room somewhere?" Maya asks her son. "No ma, I created it on my computer. Why?" Manav asks, admiring his tattoo. "I have seen this before. I do not recall where though." Maya looked confused. She got to office in an hour and switched on her laptop. She was the editor of 'Fashion 365' a popular fashion magazine and loved her job thoroughly. She had continued her work even after Manav and Mansi were born. Shekar had supported her throughout. She was blessed to have such a wonderful family. After checking her mails, she logged into LinkedIn. Her company was looking to hire fresh journalists and she thought LinkedIn was the best place to start. Just before she could enter her search criteria, something on her home page caught her attention. Maya's eyes remained glued to his name. 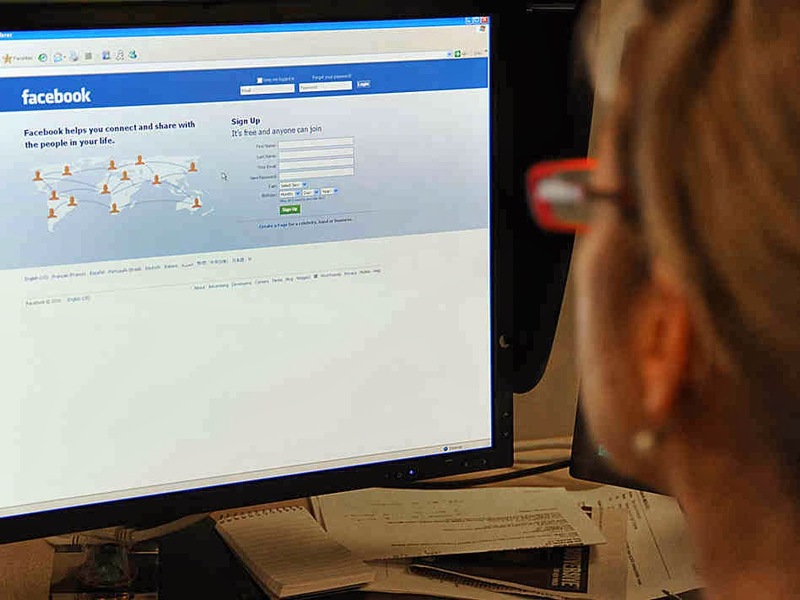 And before she knew it, she was opening her Facebook account and searching for Arnav. He was not on her friend list. She gave the global search. Too many Arnav Singhlas. The last she had heard, he was in Noida. 'Arnav Singhla Noida' she searched. She clicked on the first profile that popped up and looked at the profile picture. "This is not him. Damn." She entered the search again. The fourth profile she opened seemed to be right. She clicked on the profile photo. It was a side pose of a guy with a breathtaking view behind him. The guy in the photo was in glasses, she couldn't recognize if he was Arnav or not. But again, she hadn't seen him since the past seventeen years. How could she recognise him? She clicked on the next button. The next image was a close up shot. Most likely a selfie. Maya laughed. She recognised the eyes, this was Arnav. Her Arnav. She looked at him for a while. How madly she had been in love with him since she had joined the company. Arnav was her senior then, who had almost all the girls in the company swooning over him. He did not give Maya a second look even. It had taken almost two years for him to talk to her. It was at a colleagues party and he was very drunk. He had kissed her after a brief intro. Maya had lost her senses and had spent the night with him. The next day, he had left her apartment as if nothing had happened. He casually apologized in office. Maya was shocked and shattered. The next day, she quit Diva. A phone call brought Maya back to the present. "Madam, the meeting is in five minutes." Kiran, her assistant reminded her. "Thanks, will be there." She hung up. She clicked the next button again. And then the familiarity hit her. Arnav looked dynamic in the photo, striking a pose, holding his cap with his left hand. On his arm, graced a tattoo. It was too bright to miss. Maya looked closer. 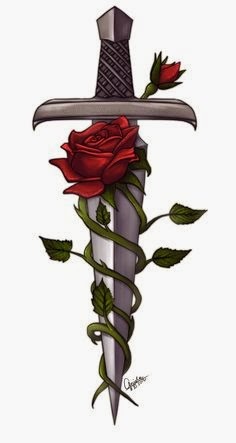 It was a stalk of rose wound around a sword. She closed her eyes and was taken back seventeen years. Arnav had dropped her home that fateful night. Maya had invited him inside for a while as it was raining outside. And then the most inevitable had happened. She had noticed the tattoo as he was taking off his shirt, but did not ask anything about it. She fell in love with him more as in those days tattoos were rare and it was considered super cool to have one. She was completely smitten and happily let him take over her. The phone rang again. Maya took a deep breath and answered. "Madam, we are waiting for you in the meeting room." Kiran said urgently. She took a last look at Arnav and closed the Facebook window. She then looked at Manav's photo on her desk and smiled. "Like father, like son." She said and walked away to attend her meeting. There are some stories that remain in your mind for ever. I am sure this will be one of them for me. This is one of your best posts ever, Soumya ! :O OMG! I sat for a complete min to absorb the end! fantastic soumya! loved it !!! Shekhar is one good guy! He is the hero here. A brilliant post and an absolute smooth flow of narration.. I don't know if I was reading it too critically but somehow I did not get convinced that she forgot the tattoo of the man with whom she had a son. Its just a personal opinion ! Thank you Maithili. You know I was expecting this question from the first comment. Honestly, I hovered around this point too. Did not seem right to me. But then, it was only a one night stand and she had moved on beautifully from it. The fact that she did not remember it, states how true she has been to Shekar! Why, he might even know the truth. Why do I get the feeling that Shekar is an accountant by profession? Beautifully done! but you know the kid could have said he saw it in the tattoo shop or in a book and decided to get it, instead of saying he drew it himself... but then again, I like the ending. See there has to be some similarities between the father and the son na. They both found the same art fascinating. That's why! The time thing could have been a little clearer, like she had to get married soon after that night right ?? Well that's just what I felt. Not necessarily na. Shekar could have married her knowing that she was pregnant na. She just moved on. What a wonderful story and loved the end : like father , like son. or is it the beginning?. You could try a sequel to this.